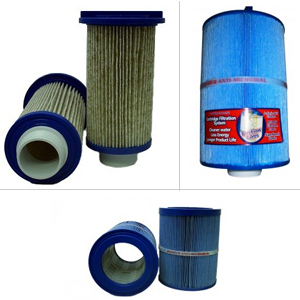 This Combo Pak contain the Twilight Series Canister Filter(X268365), Outer Filter (X268512), and Eco Pur Filter (X268511). Original Equipment filters and mineral cartridge for all Twilight Series spas with the exception of the TS120, TS240, TS 7.1, TS 7.15. Eliminates up to 95% of chemical use, per manufacturer.